The 23rd of January is a special day. Why? It`s one of my sisters' birthday! Happy Birthday, Hanna! She`s turning the big 21 this year! Last week was too hectic for me to attempt a layered cake for her birthday, which was my original plan. I also knew she`s never tried red velvet cake pops before, so I surprised her with these when she came to sleepover at my campus apartment last Thursday. 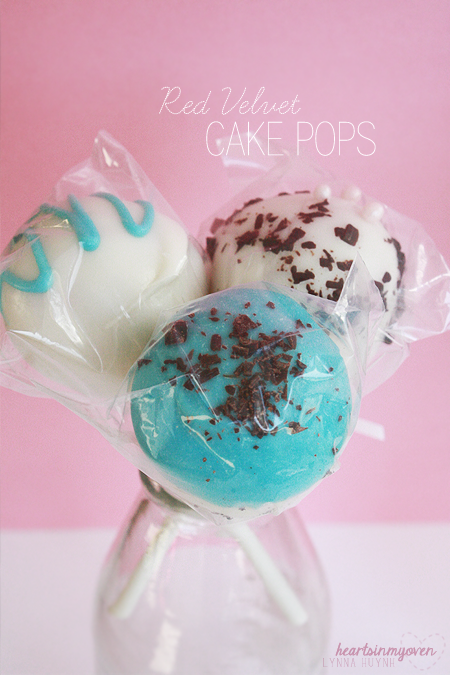 Cake pops have taken over for years now. My first attempt at them was almost 3 years ago, when I made them for my 6 month anniversary for my ex-boyfriend. 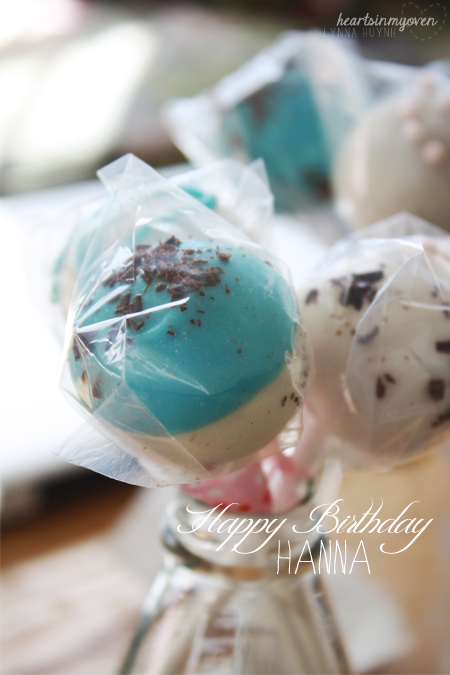 I`ve learned a lot about cake balls and cake pops since then! Here are some tips, if you are new. I`m not a professional, like Bakerella. But, these are the tips that have helped me. :) If you want to watch Bakerella make them, you can watch this video. I add a little oil into the melted candy melts to achieve a thinner consistency. Freezing the cake balls before dipping them really helps keep their shape. It does take time, so be prepare for it. I prefer using candy melts over chocolate barks, since they harden faster than chocolate. I much prefer using white chocolate over milk chocolate for the same reason. 1. Bake cake according to package directions. 3. In a large bowl, crumble up the cake and mix in the frosting until everything is fully combined. 6. Using the cookie scoop, roll cake into balls (about the size of ping pong balls) and place them on the baking sheet. 7. Place baking sheet in freezer for at least an hour. 8. Prepare your decorations, as you need to work quickly once you dip the cake balls into the candy melts. 9. In a deep bowl, melt your candy melts in the microwave with 30 second intervals, stirring in between. 10. If you wish to thin the candy melts more, add oil, a little at a time (about 1/2 teaspoon each time). 11. Stir with spoon until it's thin. 12. Dip the tip of the lollipop stick into the candy melt. 13. Then, attach a cake ball about a half way in the ball. 15. Let excess candy drip off by gently tapping the hand that's holding the lollipop stick. 16. Add your decorations, such as sprinkles, chocolate, etc. 17. 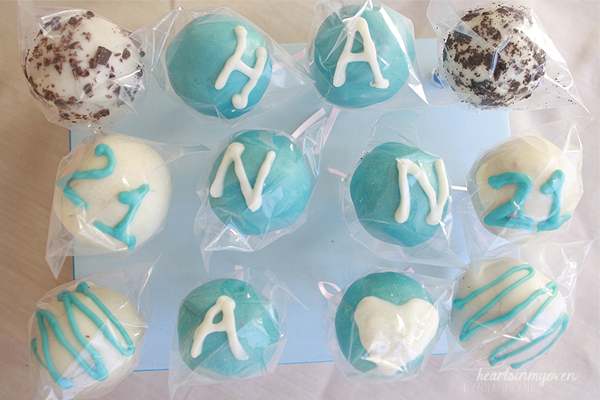 Transfer cake pop to a stand/Styrofoam block to allow candy to harden.